Last summer Disney announced an initiative to reduce the use of plastics in their parks, resorts, and on their cruise ships. 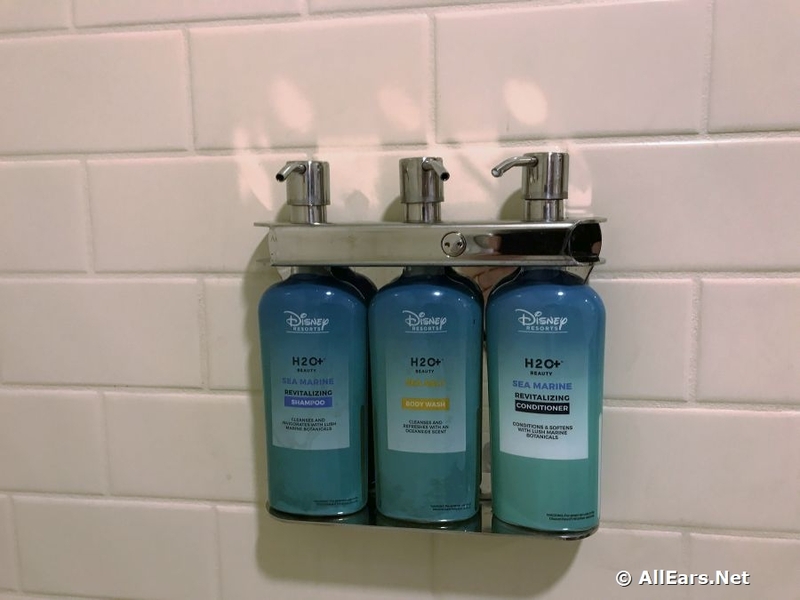 Shortly after that announcement refillable toiletries including shampoo, conditioner, and body wash started to be introduced in Disney World resort hotel rooms. Now, refillable toiletries are being introduced on Disney Cruise Line’s Dream and Fantasy ships. 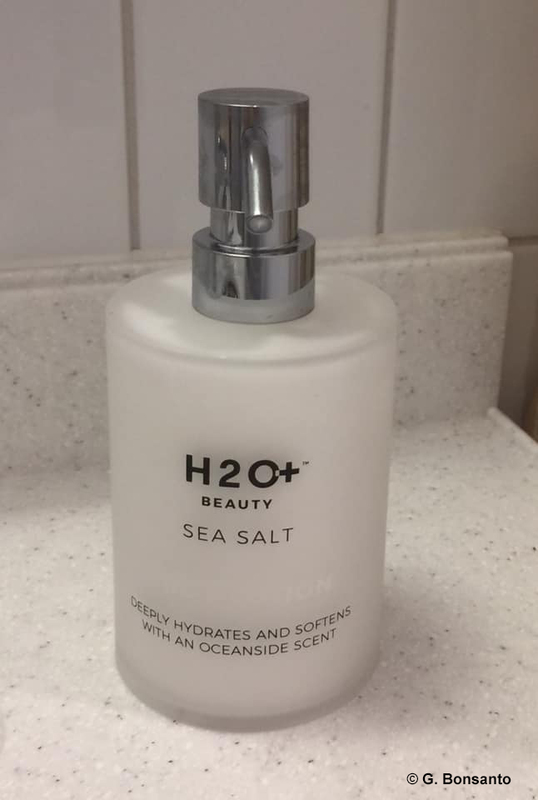 The H2O products on the cruise ships are no longer in the “save and stow” packaging, but in individual, refillable dispensers. AllEars.net friend G. Bonsanto snapped these photos of the new refillable dispensers on her recent cruise. Each dispenser is supposed to have a tamper-proof seal when you enter your state room for the first time. We hear a common complaint is the number of times you need to pump the dispenser to get a usable amount of product. There’s also been some concern as to how often the containers get refilled. As we said above, these types of dispensers have been spotted on both the Disney Dream and the Disney Fantasy so far. We haven’t heard anything about their use on the Disney Magic or Disney Wonder as yet. Learn more about Disney’s commitment to reduce plastics in the parks, resorts, and cruise ships here. 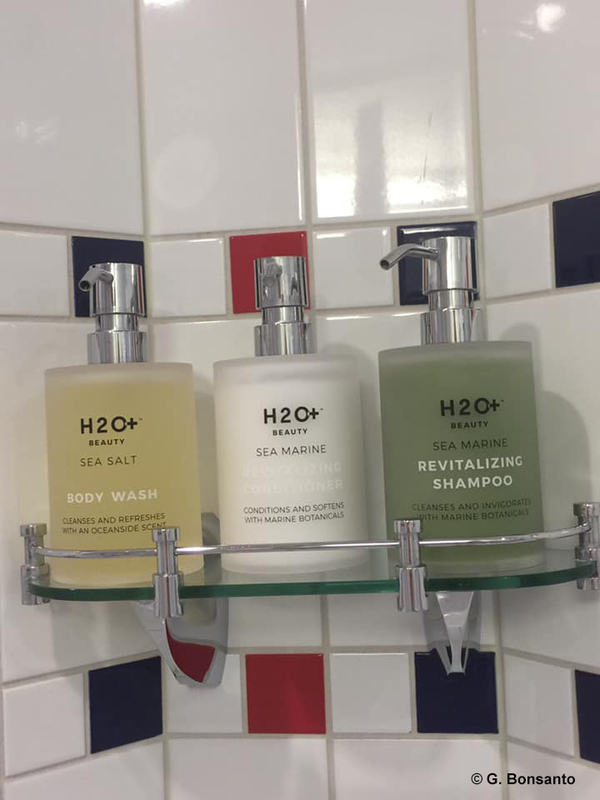 Have you sailed on a Disney Cruise Line ship with refillable toiletries? What was your experience with them? Did you like them? Let us know in the comments below! Want more Disney? Be sure to follow @allearsnet on Instagram and Twitter! Just sailed fantasy in 3/30 and I found these hard to pump. One unit was half full and was only refilled the last day. The tamper proof stickers wash right off in the shower. We were on the Wonder last week and they also had these refillable bottles. They were going through each stateroom to install the new glass shelf in the bathrooms to hold them. I couldn’t really understand what the tamper proof seal was supposed to indicate. Just doesn’t make sense that they would replace them after each cruise? For me, the pump for the shampoo and conditioner was fine (but I’m a guy with not a lot of hair), however for the body wash, I did feel like I had to pump it a lot. We did get a bar of soap to use for the sink. I get the whole reducing plastics thing and all, but I don’t like the refillable jar for toiletries in the rooms, but I have questions about this. Is the tamperproof seal supposed to be sterile and indicate it’s been cleaned? Is the last photo of lotion? I also prefer a bar of soap. Do I need to carry soap onto the ships now? This doesn’t even address the fact that I love the small toiletries as a souvenir or that this will ultimately save Disney a ton of money that won’t get passed onto us. Thanks to all the people that abuse the system, Disney is making a lot of changes like this.